I take my kids to a variety of classes, playgroups, story times, parks, basically another location for them to trash, when trashing our own home has started to loose it's luster. I inevitably end up talking with the other parents also looking for alternative places for their kids to trash. Sometimes we are both sitting on a bench waiting for our kids to finish whatever overpriced, unnecessary class we signed them up for. Sometimes it is a playdate at someone's house or a park. It starts out with the usual, "how old are your kids" or "what a cutie!" (this one usually referring to the baby) or "Where do you guys live?" or "Where do your kids go to school?" If it is someone you know, because you have similarly aged kids and have been doing playdates for awhile, you do the catch up routine. "So how is hubby's work going?" or "Did your little guy get over his no pooping in the potty phase?" or "Did you end up checking out that website I told you about?" Usually it is harmless banter. Parents enjoy talking about the day to day dealings of being a parent After all it takes a village, right? But sometimes things can get ugly. Like middle school drama ugly. Once I brought my then 2 year old son to his overpriced, unnecessary class after recovering from a bad cold. After dealing with a sick kid all week, I was elated that he was finally doing better and we could resume normal activity. I mentioned that I had brought him to the doctor earlier in the week and that the doctor said it might or might not have been the flu. Another mom overheard this and was practically in tears because she assumed that I was purposely infecting her and her children with influenza. She told me in so many words that I was selfish for wanting to get out of the house with my children even though I could be spreading germs. Yup, that is the kind of world we live in. Instead of a village, we are expected to quarantine ourselves and all of our children, at every sign and stage of suspected illness. Don't get me wrong here, I am an avid, wash your hands while singing "Happy Birthday" and cough into your elbow preacher. I also never take my kids out in public if they have a fever or are obviously too sick to play. I do not promote going around spreading germ warfare on unsuspecting kiddos at mommy and me story hour, but can't we give other parents a little credit? I mean they are here, they made the call that their child was well enough to be here, do we always have to assume the worst in people? Sometimes runny noses and colds can linger for weeks, do we really expect parents to lock themselves up in the house for that long? Kids are pretty resilient, they can usually still be happy as clams even though the sniffles haven't all cleared up yet. Besides, study after study has shown the more common childhood illnesses your tot has, the more healthy they will be as an adult. Why do we continue to fear runny noses? I get it, snot is gross, once when I was pregnant and in the throes of morning sickness, I helped a friend's kid blow his nose and the amount of snot he blew overflowed out of the Kleenex and into my hand, I was so disgusted, I held back the vomit long enough to wash my hands violently and then puked my guts out. But I never thought of shaming my friend for bringing him to my house in his runny nose state, nor thought that he needed to be locked in his room until it cleared up, apparently not everyone agrees with me on that stance. Germs are not the only thing parents obsess over. Let's talk behavior. We all want to have well-behaved kids. It is a sign of your good parenting skills to have well-behaved kids, right? The problem is of course that kids live in the moment, are self centered, don't understand the concept of consequences, or public embarrassment and are, well, kids. There are times in my parenting "career" that I have been reprimanded by other parents for my child's behavior. I am telling you this village crap is just not resonating with my generation. Sometimes it is the evil glare as you scoop up your tot after he peed himself on the playground or ripped trains out of other kids hands at the train table. Sometimes it is verbal, "You can't let your kid do that." "Umm is he yours? He just tried to bite my kid!" 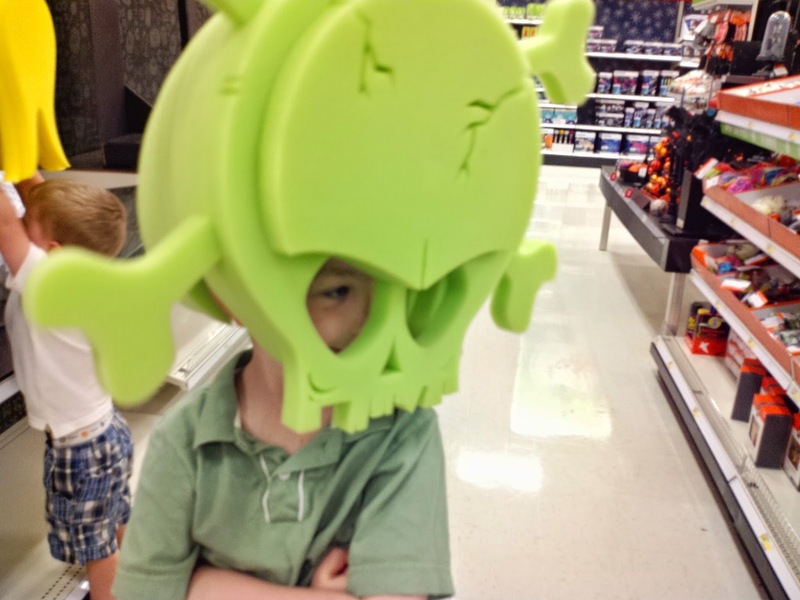 "Why is your kid always bulling my kid?!" Sometimes it's talking behind your back to the other mommies at mommy and me or on facebook, cue middle school drama ugly. The mom who asked me "Why is your kid always bullying my kid?" was dead serious. Our sons were 2 and 3 years old at the time. What was the bullying behavior she was referring to? Taking toys, pushing, hitting, maybe even name calling? Poopyhead perhaps? Moms, lock up your kids! It's (gasp) another kid! Parents need to take responsibility for their kids, absolutely. But if you want to get your toddlers together with other toddlers, you need to accept that there will be occasional biting, taking toys or wrestling, tears as well as laughter and lots of testing limits. Don't take any of this personally, that is just how toddler's operate. Trust me, they don't take any of it personally. One minute they will be crying crocodile tears because so and so hit them and the next they will be happily playing catch with the same so and so. Yet parents take it personally. How could little Johnny to such a horrible thing to my beloved Suzy?! How dare he rip that plastic chicken leg out of her hand! She had it first! Where is his mother during all this? OMG! She is has her back turned talking to some other mom, not even noticing that her devil son has just committed this hate crime directed at my poor, perfect, helpless daughter! And wait, did he just sneeze?! We have moved away from "It takes a village" into the realm of competitive parenting. My child is healthier than yours, my child is more well behaved than yours, my child is smarter, prettier, better than yours. I guess we consider our offspring an extension of ourselves and what we are really saying is I am better than you. I can handle this parenting thing better than you, I keep my child in line better than you, I don't know what you did wrong to get your child sick, but my children and I are far too important to catch what you have, so don't you dare come around us with your evil cold. The minute you start to participate in competitive parenting your kids will quickly put you in your place. A tantrum at the most inappropriate time or your kid pushes another kid or something will happen to make you feel like you've lost the competition. After all, when you go around thinking you are better than others, you will soon find out that there are lots more better than you. So let's stop giving into to the competition and just support one another. I am not perfect. I am sure that I have made unfair judgements about other parents. I apologize if I am "that mom" to anyone. "That mom" who made them feel like a crap parent. "That mom" who tried to one up them. That is not who I strive to be. Who I strive to be is part of a village of support. 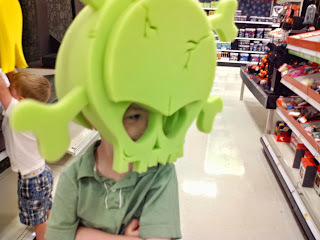 Support in asking if you need a hand when your kids are running around like a pack of wild dogs in line at target instead of giving you the evil eye. Support in stepping in when another mom is shamming you because your tot stole her tot's plastic chicken leg and letting you know, no worries, it is totally normal for his age. From now on, when I sign my kid up for the next overpriced, unnecessary class or take them to story time, I am going to try to do one nice thing for another parent. If nothing else, they'll know that I am not trying to compete with them. I am having more trouble with "I have it worse than you" competition. I clearly win since I have 7 kids and make it blatantly obvious that I don't care about the usual competitions. I am trying not to complain about anything anymore so i don't get a barrage of how much worse they have ti stories! Yes! Some people just like to always be the victim. I don't have time for that! Thanks for reading!